The State had called 20 witnesses by day five (Wednesday June 25) in the trial of Edward Green of Morne Daniel for the murder of Damian Dorival of Roseau who was killed on Wednesday June 11, 2008. 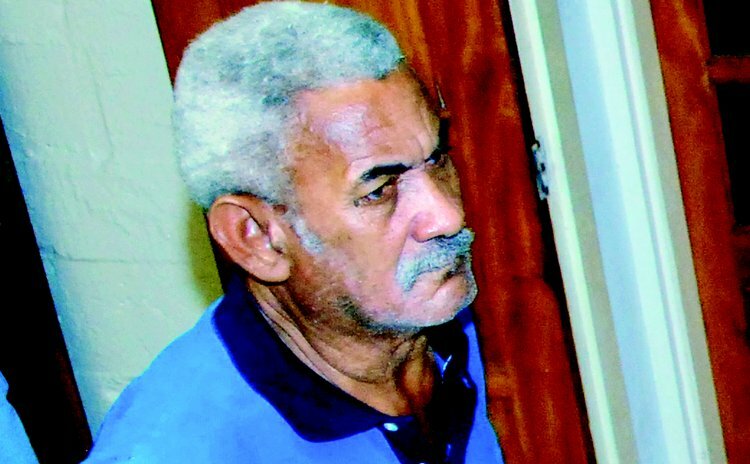 Edward Green, 70, is alleged to have killed Dorival, 35. Green's defence is being conducted by lawyers Peter Alleyne, Darius Jones and Vincia Auguiste. As the SUN reported in its last issue, Dorival rented a vehicle on Tuesday June 10 for one day and called in on June 11 for an extension of another day. Another witness told the court that the accused had licensed a firearm in 2007. Another witness, who rented an apartment in the four-floor Edward Green building at Morne Daniel, heard a gunshot about 11.30pm to midnight of Wednesday June 11 and shortly after heard another gunshot. According to various witnesses, namely police constable Brian Jean, port security officer Emanuel Foster Shillingford and Corporal Roy Andrew, they saw Green at various points on the road between Roseau and Morne Daniel as he tried hitching a ride on the night Dorival was killed. Another witness was retired Albert Joseph, who lives at Lower Copt Hall; twice he saw Dorival on Wednesday June 11, 2008. The first time was about 10:00am. Dorival was driving a blue Suzuki jeep. Dorival returned about 3:00pm in the same jeep and they spoke on both occasions. Joseph woke up about 1:30am on the Thursday. He heard a screeching sound, like a vehicle being driven on gravel at high speed. He immediately went outside on to the road and again noticed the blue rental jeep coming from a side road about 30 feet away from him. He recognised the vehicle as the one Dorival had the day before. It was a moonlit night and there is street lighting. The side road leads to a garage and storeroom and back of these facilities is the Roseau or Copt Hall River. The vehicle sped away in the direction of Roseau. He did not see who was driving. Sometime later he went to the river and saw a head bobbing in the water. There were adults and children there. Cross examined by Alleyne, Joseph said other people were going to watch so he went out of curiosity. He recognised Dorival's head. Sampson Green, a nephew of Daniel Green who lives on Morne Daniel said on Wednesday June 11, 2008 he left Ti Pawadi at River Estate and headed home on his bicycle around 11:00pm. When he got to the area of Daniel Green's home he saw the accused exiting his yard in a jeep, a two-door Suzuki jeep which seemed like purple because it was night-time. David Pino Green is one of two sons who lived with their father, Edward Green, at Morne Daniel. Pino left Morne Prosper where he had band practice for Roseau about 6:30pm on Wednesday June 12, 2008. He stopped on Cork Street for a couple hours, visited a seamstress on River Street so that by the time he got to 7 – 11 in Pottersville that place was closed. He got a bus to the Brizee's Mart bus stop, took a track off the main road to the road leading to his home. He heard his father's voice saying 'Pino, Pino', but he did not see anyone. He went and put his bass guitar and bag in his room and went back outside. He asked about his father's whereabouts and was told he was in the yard. Pino went in the yard and asked what happened? And Edward Green replied, according to Pino: I just shoot Damian Dorival and he did not see it coming. I shoot him in the head. Pino said he was afraid. His father asked him to help him put the body in the vehicle. He could see the silver-handled rifle. He could see the pool of blood. The body was lifeless. He was in shock. He did what his father said and assisted him. "I got the legs, he grabbed the shoulders," he said. The shoulders were too heavy for him so he took the shoulders instead and the accused held the legs. The accused opened the back of the jeep, put in Dorival, shut the door. The accused then went looking for the keys. The key was by the left front tyre. He put the gun inside and came out with plastic in his hands, and he said, "don't worry about that I safe". He went in the vehicle started and reversed. The head was still on the body. He saw the accused drag the body away from the jeep. Pino went inside and spoke to his brother Deon. They got cutlasses and sharpened them up. He went back to his room and latched the door. He also spoke with Nesty. Ferguson was not there, but his girlfriend was in. Pino went to his brother's room and tried to take him to his Uncle Lennox Green's home. It started to rain so went back to the house. "I went back to my room and latched the door, and I had my cutlass," he said. By then it was crack of dawn. He went out and saw the accused sitting on a chair in one of the rooms. Pino asked him what was happening and he replied: Nothing. He asked Pino to get him a screw driver. He got it and his father returned it with another as well. His boss came for him and he went to work. The trial will continue this week when Green's lawyers will mount his defence.